We believe in only providing handmade luxurious bath & body products to those who are suffering from severe skin conditions (dry skin, oily skin, Eczema, scaring etc). Sadly companies legally don't have to list every ingredient that goes into their bath products and most of the ingredients are very harsh chemicals that dry out the pores leaving skin feeling tight, dry & icky feeling. We specialize in handcrafted Lip Balms, Goats Milk Lotions & Soaps, Cold Process Soaps, Bath Bombs, Shimmer Body Sprays, Room & Linen Sprays, Body Butters, Sugar Scrubs, Salt Glows, Fun Soaps, Custom Soap Favors, Birthday Party Favors, Wedding, Bridal and Baby Shower Favors, and so much more! Everything you find in our online shop is 100% handmade. We only used the finest skin loving oils, butters and additives. 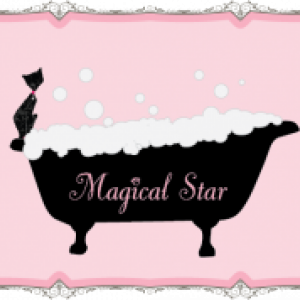 We carry a variety of specialty soaps, goats milk base soaps, glycerin soaps, goats milk lotion base and some yummy spa treatments, all designed to bring the spa experience to the home, at an affordable price. We use luxurious oils, creamy butters, natural botanicals, and only the best fragrances to bring to you, the most natural & nutrient rich products.